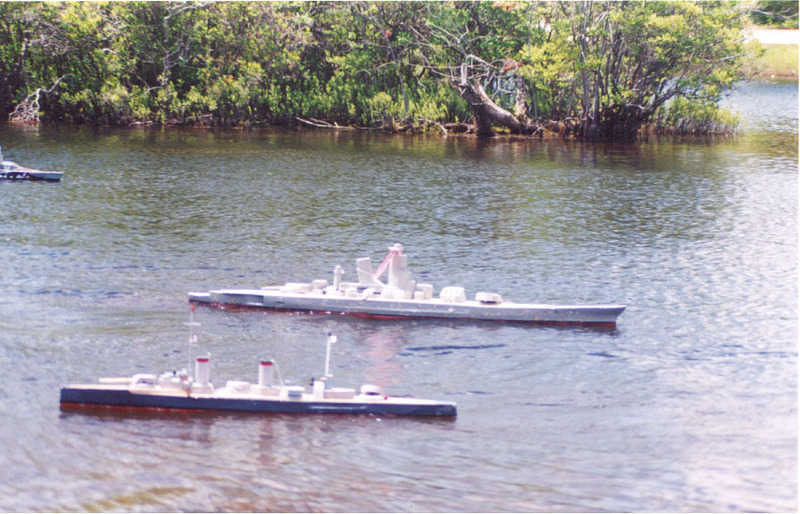 If you are interested in building and fighting 1/144th scale model warships in New Jersey, you've come to the right place. Each ship is equipped with CO2 powered BB cannons. If too much damage is taken, the ship will sink. But don't worry, these ships are made to sink and be retrieved. Hulls can be patched in minutes. 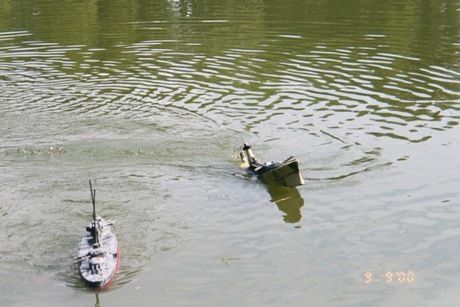 The repaired ship can be back in the water for the next battle of the day. Ship building assistance is available. This in not an expensive hobby. 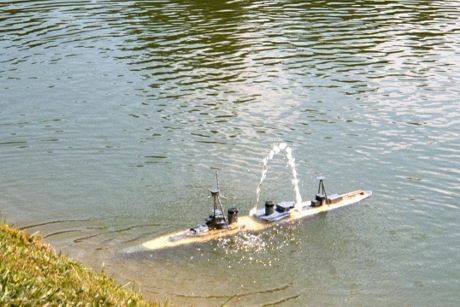 The cost to put a combat ready two gun Cruiser on the pond is around $200 (without the radio) . Battle damage repair, maintenance and ammunition make the operating costs around $50 to $75 per year. 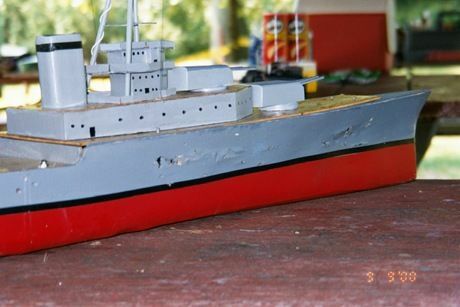 All though our ships are scratch built or from kits the process is within the capability of most modelers. New members are guided through the process of building, arming and combat maneuvering by the more experienced members of their fleet. 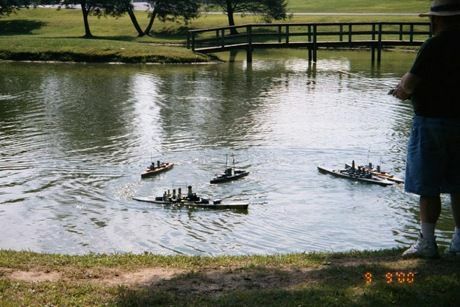 If your interested in Modeling, Naval warfare, and Remote Controlled boating this hobby is for you! The only Hobby where you battle what you build. When its time to put up or shut up, the loser gets wet. 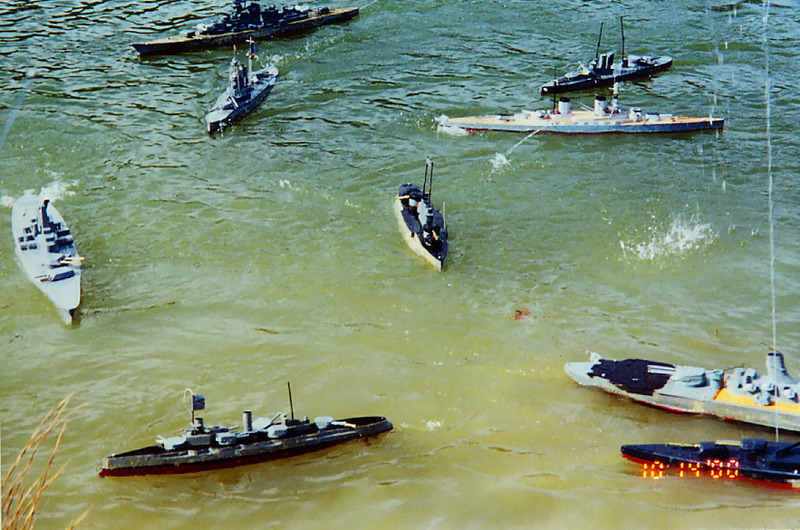 You can have anything from a one on one battle to sorties that have over 20 ships battling at one time. The length of battles can range from a few hours to a full weekend event. Whether its Allies or Axis, WW1 or WW2, battleships or cruisers, you can build the ship of your choice. With a plethora of kits to choose from, and the guidance of fellow Captains, you will be on the water in no time at all.